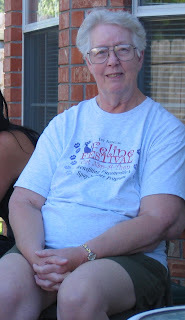 Francena E. Bramell, 77, of Springdale died Thursday, July 9, 2009. She was born Dec. 29, 1931, in Endicott, N.Y., to Morris A. Swackhammer and Beaulah J. Young Swackhammer. She served in the U.S. Air Force, was a member of the Church on the Rock in Yellville and was a member of Fayetteville Athletic Club. She was preceded in death by her husband, H.L. Bramell. Survivors include five sons, Benjamin E. Pugsley, Bernerd L. Pugsley, Robert E. Pugsley, Dennis D. Pugsley and Lee E. Bramell; a daughter, Dee Ellsworth; a stepdaughter, Mavis Anne Edwards; two stepsons, James E. Bramell and Barton L. Bramell; 24 grandchildren; and 15 great-grandchildren. A memorial service will be held at 10 a.m. today (July 11) at First Christian Church in Fayetteville with the Rev. Kevin Duffy officiating. Memorials can be made to the American Cancer Society, 3291 S. Thompson, Suite D-104, Springdale, AR 72764; or Turpentine Creek Wildlife Refuge, 239 Turpentine Creek Lane, Eureka Springs, AR 72432. Cremation arrangements were by Beard's Funeral Chapel and Crematory in Fayetteville. To sign the online guest book, go to www.beardsfuneralchapel.com.